In this work, Fe3Al-based composites reinforced with carbon nanotubes were fabricated by a hot-press sintering process under various sintering pressures. 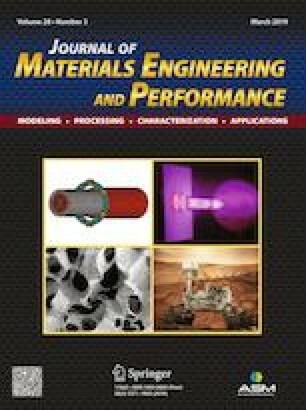 The effects of sintering pressure and additives (alumina and lanthanum) on both the physical and the mechanical properties were systematically investigated. Results showed that with the sintering pressure of 15 MPa and incorporation of carbon nanotubes (CNTs), the microhardness of Fe3Al composite exhibited a peak value at 1038.1 HV, which was ~ 60% higher than those without the addition of carbon nanotubes (644.9 HV). Also, both the compressive yield strength and the thermal conductivity of Fe3Al composite were also significantly improved. Results of wear test showed the Fe3Al composite exhibited a low wearing rate (10−6-10−5 order of magnitude) and a friction coefficient (0.53-0.67). This work was financially supported by the Science and Technology Planning Project of Guangdong Province of China (No: 2014A010105046). The authors are sincerely grateful to Prof. H.T. Lin and Prof. S. G. Lu for their invaluable inputs and suggestions, and Prof. Y. M. Zhang, Mr. F. X. Chen, Dr. J. Q. Hu, Dr. Y. X. Wu, Ms. W.T. Lin and X.H. Zheng for carrying out this work.